Latinos & Race in St. Louis: Where Does the Latino Community Fit into St. Louis’ Race Conversation? Online registration is now closed, but walk-ins are welcome. Doors open at 5:30 p.m. and program begins at 6:00 p.m. 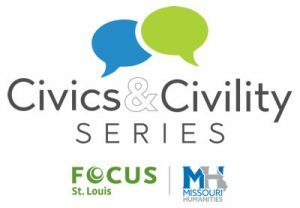 This event is presented in partnership with the Missouri Humanities Council as part of the year-long Civics & Civility series. The subject of race relations is central to the story of the St. Louis region, and the demographics and politics of our region dictate that the relationship between the African-American community and the white community is most often at the center of this discussion. However the diversity of our region is much larger than this binary. The third largest demographic category is alternately described as Hispanic, Latino, Latino/a, or Latinx. However, as with most socially constructed categories the idea that the Latino community comprises a distinct race, a unified cultural heritage, or a homogenous political block is at best simply false, and at worst misleadingly prejudicial. Who are the Latino members of our community demographically? What shape does diversity within that community take? Where do those who identify as Latino place themselves in the racial politics of our region? 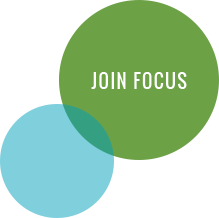 What do those who work on race issues in the region need to know about the Latino community? What are the political, social and economic structures that shape our Latino community? How are these related to, or distinct from, the political, social and economic structures that shape the African American community? And the white community? How does the issue of citizenship and immigration status connect to the issue of race in the experience of St. Louis’s Latino community? Where does unity/disunity among people of color (another vexing category) begin and end in our region? What can the audience and the wider citizenry of the St. Louis region do to help address the issues facing the Latino community? Prior to joining the ACLU in 2016, Daniela Velázquez, as the principal of her own consulting firm, worked for a variety of corporate, government and nonprofit clients, including the Ferguson Commission, St. Louis Mosaic Project and the Missouri Immigrant and Refugee Advocates (MIRA). Ms. Velázquez honed her storytelling skills while covering news in Florida. She worked as an online news producer for Tampa Bay Online (TBO.com) and reported and wrote feature and general assignment stories for The Tampa Tribune and NBC-affiliate WFLA-TV/News Channel 8. She also covered the public safety beat for the Tallahassee Democrat. She holds a Bachelor of Journalism in News Editorial and a Bachelor of Arts in History, both from the University of Missouri-Columbia. Vanessa Garcia is responsible for the Hispanic Chamber’s community outreach, programming and event management, and university relations, as well as organizing the Hispanic Leadership Institute for professionals and developing the Hispanic Leadership Institute program for high school students. She is a graduate of the Hispanic Leadership Institute and has received a Nonprofit Certificate in Program Evaluation from the University of Notre Dame. She is a member of the Hispanic Leaders Group and volunteers her time mentoring young women at Marian Middle School. Ms. Garcia holds a bachelor’s degree in Mathematics and Secondary Education from Saint Louis University. M. Leticia Seitz was born in Mexico City. Since immigrating to the United States in 1999, she has worked with a variety of organizations assisting and advocating for the Latino communities in St. Louis and Kansas City, including the Mexican Consulates in St. Louis and Kansas City and the International Institute of St. Louis. She is the founder of the grassroots organization Latinos En Axion STL, the first such organization created by and for Latino immigrants and the families. Since 2013 Latinos En Axion STL has promoted individual transformation, as well as engagement in political, social and economic justice. With a background in the arts as well as business administration, she is the President and Producer of Spanish language Soy de Rancho Radio online and owner of Arte Rojo STL, dedicated to preserving and promoting healing through Mexican folk art. Ms. Seitz studied Business Administration in San Luis Potosi, Mexico.